Graziela Gilioli is an author and photographer. What value does joy possess if it is not shared? And why the existence of suffering if not to give us hope and direction? Ever since I was small, I have always been a great reader. I read about everything, and am interested in a great variety of subjects – sociology, philosophy, neurology, quantum physics, history, computer science, design, aesthetics, ethics, technology, drama, music, geography, cinema, literature, religion, architecture, dance, psychology, pedagogy and medicine, as well as many of the other inumerable facets of human knowledge. In addition to the books I have read, the places I went to in Asia, Europe, Oceania and the Americas have shaped my understanding of the world. Even having experienced such diverse ways of life, I can testify that we are all one. Our fundamental nature is the same – we cry for the same things, desire the same things, living and dying for the same reasons, regardless of when and where we were born. Our survival instincts, our need to be accepted and valued, and our natural sense of beauty are all traits that are profoundly human. My writing and photography have a human appeal. I am one to contemplate both the greatnesses and the smallnesses of our world. In this way, I am able to go above and beyond what is common or obvious. Frequently, I seek a new place for what is already known, and always one for the unknown. My contemplative gaze rouses me into looking beyond all daily interactions with the world. It is a learning process, a rebeginning that brings new light to facts, feelings and thoughts. Many things in life can be controversial and complex, but in everything lies the possibility of a new perspective; refusing to reiterate ideas with ready-made conclusions can be a good start for us in gaining a more generous standpoint on all things. Graziela’s work in photography and literature calls us to reflect, in the here and now, on how we make our choices in order to live a fulfilling and meaningful life, regardless of our origins. In photography, she has been meticulously developing work that provokes us to think about our convictions and our choices. Her work “Time Forgotten” was exhibited in the 10th International Art Biennial in Rome, 2014, and was given third place in the honorary awards. As a photographer, she seeks to understand the world in which we live. She travels around the planet, searching for other ways of living in and interacting with it. Her photographs, both portraits and landscapes, always center around the individual and, with intensity and sensitivity, depict the intimacy of the human condition. 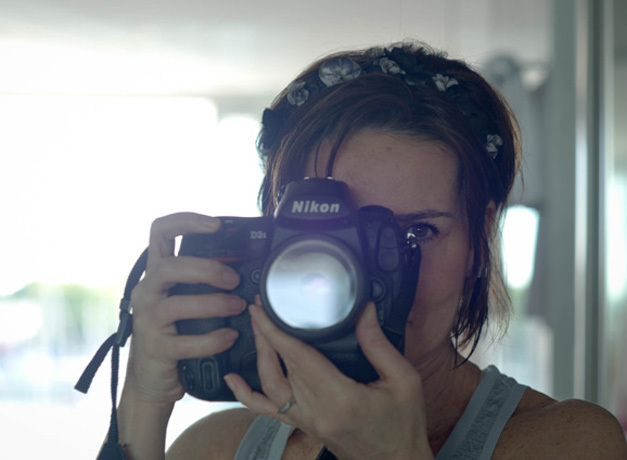 Her studies in photography started at the Panamerican School of Arts in São Paulo and were developed in the Photography School in Santa Fé, United States, at the Saint Martins Central London University of Arts. In addition, she participated in workshops with Jennifer Spelman in New Mexico, with David duChemin and Jeffrey Chapman in Italy, and with Adam L. Weintraub in Cusco and Machu Pitcchu, Peru. In 2015, Graziela Gilioli traveled to Morocco with National Geographic alongside Massimo Bassano. In literature, she made her debut with the book “Little Doctor”, published in Brazil (today in its 7th edition), and in Portugal. The book had great repercussions in different areas of medical specializations, including psychiatry, oncology, pediatrics, obstetrics, and also with liberal professionals, entrepreneurs, business people, and artists. “Little Doctor” owes its success to the frankness with which she deals with deeply evocative themes such as the law of finitude, and to the touching way in which she writes about the relationship between mother and child. Graziela Gilioli talks about profoundly human topics, constantly prompting us to reflect on ourselves. Due to her own life story, Graziela Gilioli lectures from a very particular perspective, creating a gentle atmosphere of strong empathy with the public. Ecleticism is part of the range of subjects she addresses. On the TEDx stage, she spoke in the Israeli Albert Einstein Hospital on “Looking Into Life and Death”, addressing a select audience of PhD doctors on “the relationship between professionalism and the human dimension”. In the Santa Casa School of Medicine in São Paulo, her theme was “The Relationship Between Doctors and Patients”. In Portimão, Portugal, she took part in the “Education and People of the Future” conference with her lecture, “Education: A Dialetic Between the Humanist and Technological Perspectives”, to an audience of over one thousand people. Graziela Gilioli is a Brazilian of Italian origin, born on 8th November, 1961. Her academic background is eclectic. She is a Bachelor in Social Sciences (PUC-SP), and a graduate in Marketing Management of Organizations of the Third Sector (FGV –SP) with an MBA in Luxury Management for the Global Market (FAAP- SP) and in Luxury Market at ESSEC, Paris Cergy-Pontoise. She worked as a trader in the Commodities and Futures Exchange (BM&F) and in the Stock Exchange of São Paulo (BOVESPA), and was an executive manager of sports marketing in organizations of the third sector.